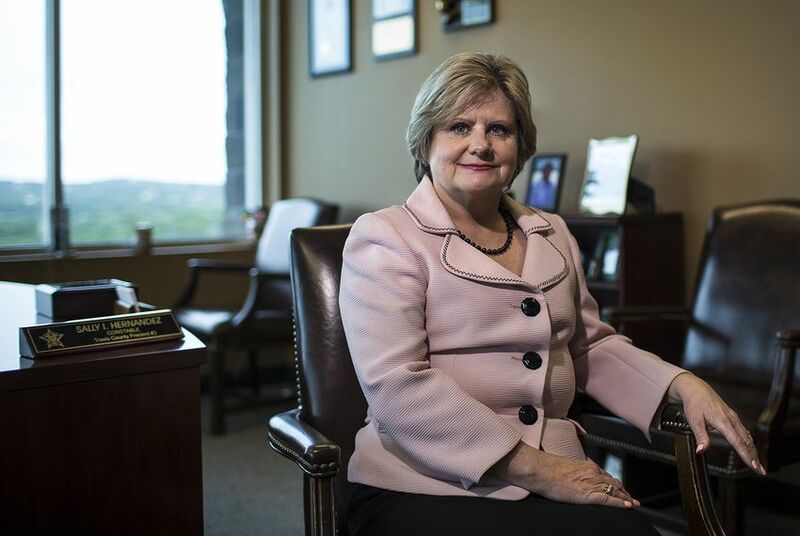 Travis County Sheriff Sally Hernandez indicated Thursday she is not backing away from her recently introduced "sanctuary" policy. Her comments came a day after Gov. Greg Abbott proposed the removal of Hernandez, who announced Friday she would reduce her department's cooperation with federal immigration authorities when they request an inmate be flagged for possible deportation. "Our community is safer when people can report crimes without fear of deportation," Hernandez, whose jurisdiction includes Austin, said in a statement. "I trust the court system and our judges to assess the risks and set appropriate bonds and conditions for all who are incarcerated." The policy sparked criticism from Texan Republican leaders, including Abbott, who called for the removal of any officeholder who promotes sanctuary cities during a Fox News news interview on Wednesday. Hernandez, however, said she remains committed to her constituents and said she "will not allow fear and misinformation" to be her guiding principles. Abbott proposed the removal of any officeholder who promotes sanctuary cities. Abbott demanded that Hernandez reverse her new policy or lose state dollars. Hernandez announced her office would scale back its cooperation with federal immigration authorities.